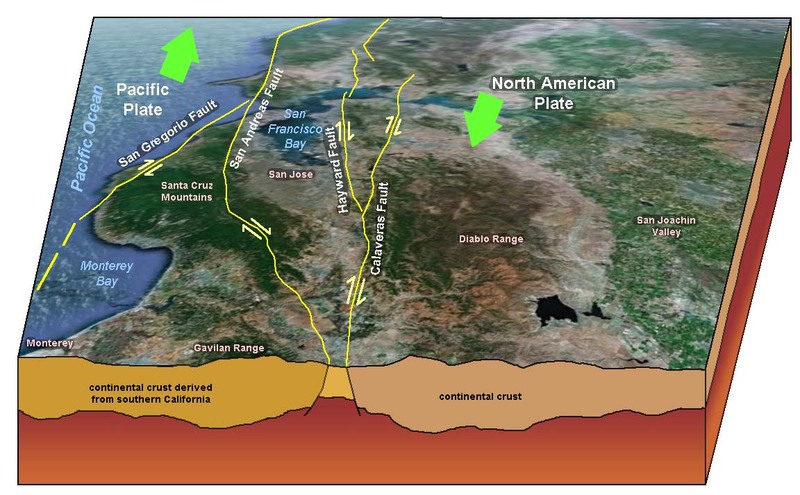 earthquakes and volcanoes are common near convergent boundaries. 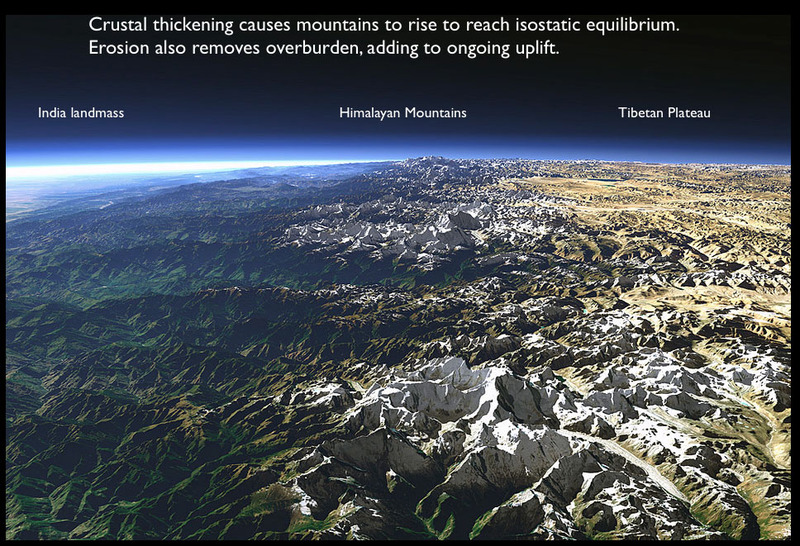 During collisions between two continental plates, large mountain ranges, such as the Himalayas are formed. Most are located on the crests of the mid-ocean ridges. 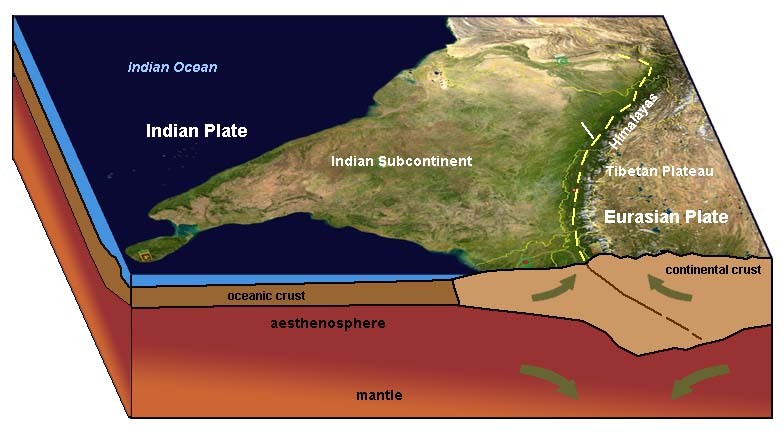 New oceanic lithosphere is created here. Rock added to the ocean floor. 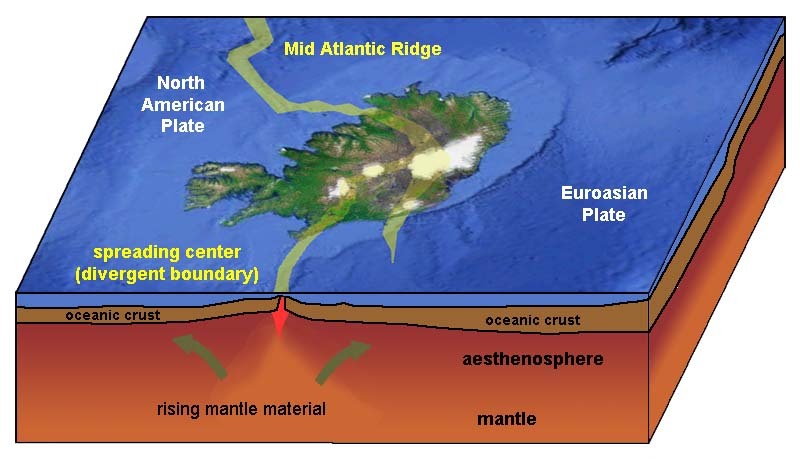 When this happens on a continent, it is called “rifting”, and can literally split a continent apart. are where 2 plates grind past each other. 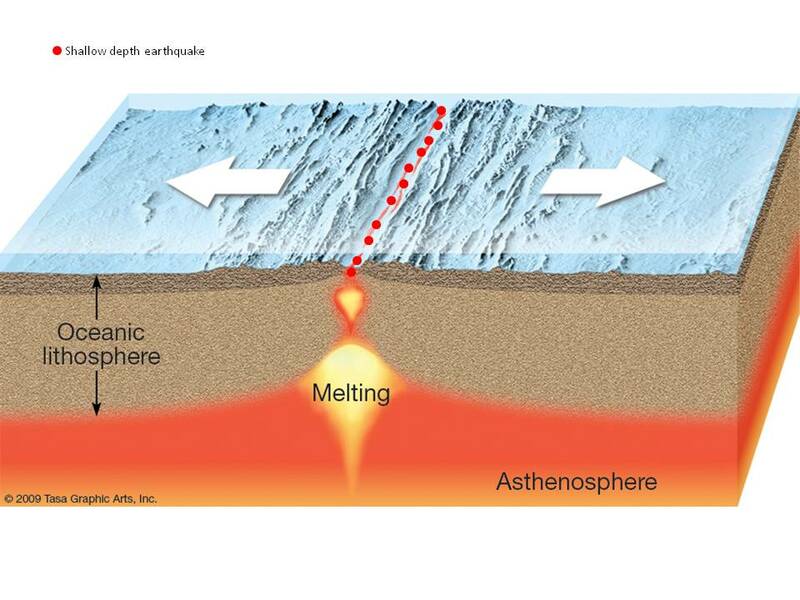 No new lithosphere is formed. The state of balance, or equilibrium, which sections of the earth’s lithosphere (whether continental or oceanic crust) are thought ultimately to achieve when the vertical forces upon them remain unchanged. 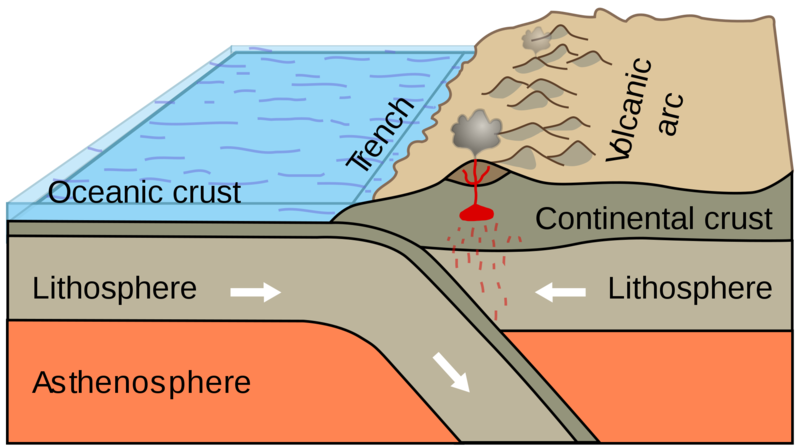 The lithosphere floats upon the semifluid asthenosphere below. 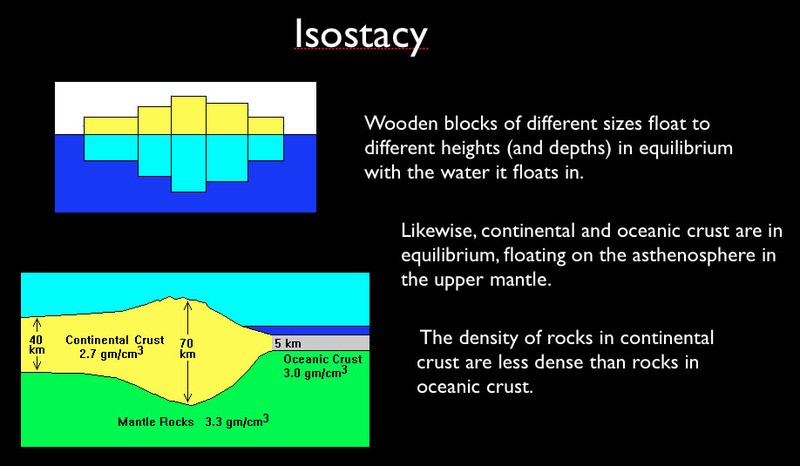 If a section of lithosphere is loaded, as by ice, it will slowly subside to a new equilibrium position; if a section of lithosphere is reduced in mass, as by erosion, it will slowly rise to a new equilibrium position.